Canon's Powershot SX710 HS updates the 30x optical zoom camera with a 20 megapixel sensor. Find out if the numbers add up. The Canon Powershot SX710 HS is a compact camera with an image stabilised 30x zoom lens, manual controls and wireless connectivity via WiFi and NFC. 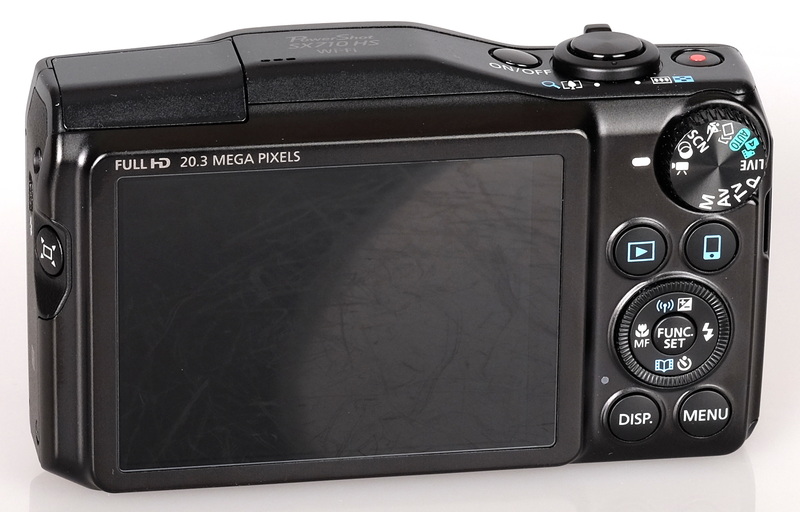 The camera has a 20 megapixel sensor, an ISO range of ISO80 to ISO3200, and updates the SX700 HS. Following the motto of "If it ain't broke, don't fix it", the SX710 HS has some very subtle design changes including a black shutter release button and video record button, along with a 20.3 megapixel sensor, instead of the 16 megapixel sensor in the previous version, the SX700. The Canon Powershot SX710 HS features a wide-angle 30x optical zoom lens, equivalent to 25mm to 750mm, and optical image stabilisation to aid taking sharp shots at the telephoto end of the zoom range, or in low light conditions. The camera features a 3inch Purecolor II G screen, with a resolution of 922,000 dots and a retractable pop-up flash unit. As well as the usual complement of automatic shooting modes, full creative manual control is available, which is great for those who like to take control of their camera, although there is no provision for recording RAW files with this camera. Processing is taken care of by Canon's DIGIC 6 processor, which promises better quality at high ISOs and a more responsive camera than previous processor versions. 1080p video can be recorded at 60fps, with stereo sound, and optical zoom is available. The camera can shoot up to 10 shots in a burst at 8 frames per second, at full resolution. 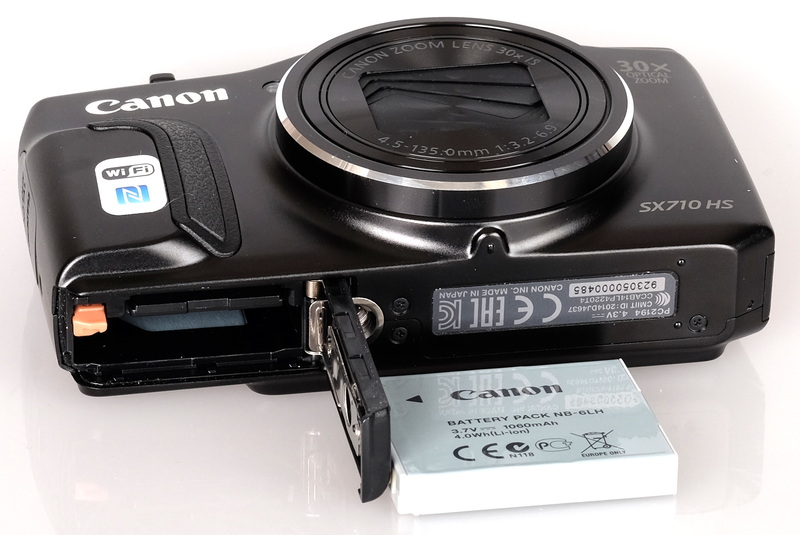 The Canon Powershot SX710 HS has a metal body that feels reasonably robust. A small raised, rubberised finger grip on the front of the camera body helps to provide a secure hold of the camera, which is especially important, given the zoom range on offer. A mode dial on the rear allows you set the shooting mode, and there are video record, playback, menu and wireless transfer buttons. The four-way controller can be used to change settings on the rear screen and the function button nestled within allows quick access for shooting options. On top is the on/off button, shutter release and zoom control. The base gives access to the battery and memory card compartment and connections for USB and HDMI are located on the side under a plastic flap. The screen had good viewing angles and is bright, clear and easy to see in bright sunlight. The zoom framing assist feature simply zooms the lens out, whilst superimposing a rectangle on the screen to show how much your previous zoom setting would have covered. The issue with this system is that it doesn't zoom back automatically, so unless you were at full zoom before, the superimposed frame is pretty meaningless. However, it is handy for those times you lose your subject at full zoom, as it quickly retracts the zoom so you can find your subject again. I feel this system would work better if the zoom returned to its previous setting when the zoom framing assist button is released. Menus – To change settings you can press the function button, located within the circular 4-way controller and this will bring up a number of common settings on the rear screen. A jog dial located around the perimeter of the 4-way controller makes it easier to apply manual adjustments. To adjust more advanced settings you simply press the menu button and the options are spread over two screens. The menus are well laid out, and those who have used a Canon compact camera before will feel right at home with the layout. 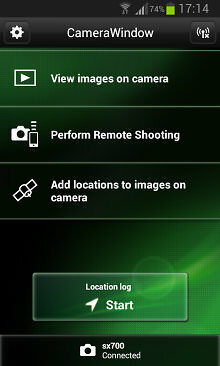 Wireless Connectivity - In order to connect the camera and a smartphone or tablet, Canon’s Camera window app must first be installed on your Android or Apple, phone or tablet. Once complete, the camera can be connected directly to the device via Wi-Fi or NFC, or through your home network via Wi-Fi. 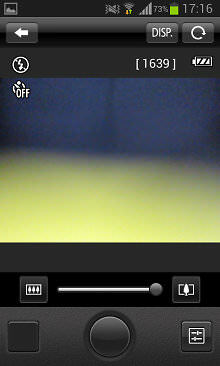 The Canon Camera Window app connects the camera to the phone or tablet via Wi-Fi or NFC. Images can be viewed on the device or shared via other apps. The camera can even be controlled via the app over Wi-Fi. Connecting directly to an Android device is straightforward, but we had some issues trying to do the same with an iPhone 5s, although this could equally be down to the phone itself. Connecting over a home network via Wi-Fi is very straightforward also, although entering the password for your network can be quite fiddly on the camera, especially as numbers and letters are on separate keyboard screens. Once connected, images on the camera can be viewed on the smartphone or tablet and then shared via whatever apps you may have on the device, such as Facebook, Twitter, and Instagram etc. The camera can be remotely controlled via the app, which works much better than we expected. Zoom and focus can be controlled remotely, as can other options, like the flash mode for example. This can be especially useful for those who are partial to taking the odd 'selfie' photograph, as the image can be composed easily using your phone's display. 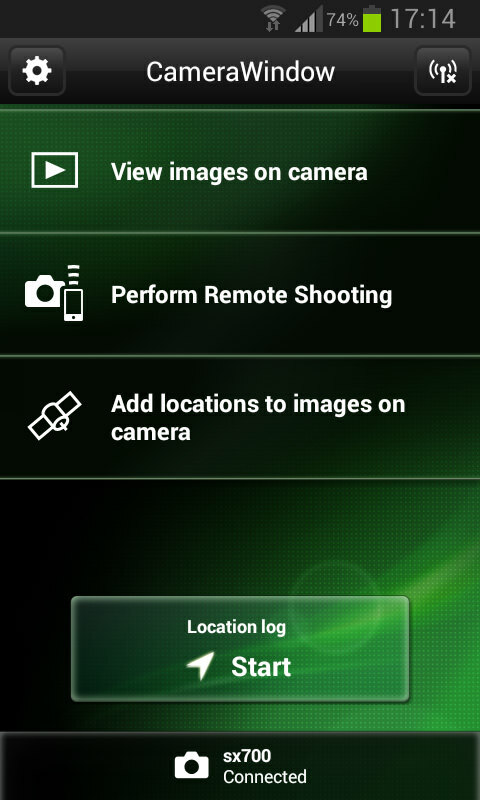 The GPS capability of your device can also be utilised to add geo-tags to your images as they are taken. Battery life - Battery life is rated at 230 shots according to Canon / CIPA test results, which is slightly less than the SX700. An 'ECO' mode is also available, which extends to battery life to 315 shots. Shutter response and focus are both extremely quick, and the camera gives a good continuous shooting speed of 8fps (for up to 10shots). 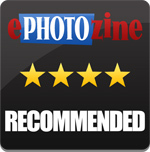 Sample Photos - Images are reasonably detailed and flash portraits are free of red-eye, with good skin tones. Levels of detail decrease as the ISO is raised. 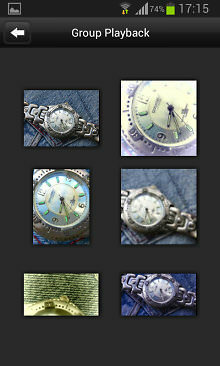 Colour and exposure are good, with natural levels of colour saturation. If stronger colours are required, then you may use the Vivid My Colours setting to give saturation a boost. Lens Performance - Images are generally sharp in the centre of the frame, although corners can be a little soft at the wide angle zoom setting and detail levels are good for a camera of this type. The camera does a good job of correcting for barrel and pincushion distortion, with only a slight amount of distortion being visible in images. The camera has a very impressive 1cm macro mode, letting you get very close to your subject, and the camera will let you know how close you can focus on screen. Some purple fringing is noticeable towards the edges where there are areas of high contrast. ISO Noise Performance - Noise levels are quite well controlled for a camera of this type, with images taken between ISO80 and ISO400 being relatively free of noise. Noise does increase with sensitivity, but even images taken at the maximum sensitivity should be good enough for sharing on the web via social networking. There is slightly more noise at ISO3200 compared to the SX700, but ISO1600 shows a reasonable balance between noise and detail. White Balance Performance - Auto White Balance (AWB) gives a warm image under tungsten lighting, with the tungsten preset providing a better corrected result. AWB performs reasonably well under fluorescent lighting, with the fluorescent preset a very slight yellow / green colour cast. Digital Filters - There are a number of colour options to choose from in the My Colours section of the function menu as well as digital effects such as a miniature effect and creative filters like the toy camera effect. 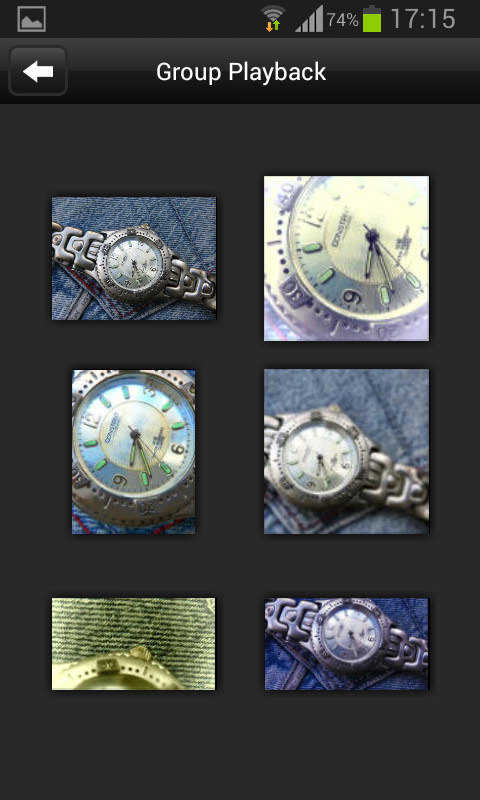 Creative Shot Mode – Accessed via the mode switch on top of the camera, this mode takes six images in quick succession, applying different crops and filters randomly to each image. One possible use for this mode is for sharing images via one of the popular photo montage apps on a smartphone, or simply to choose the effect you like best of the six. 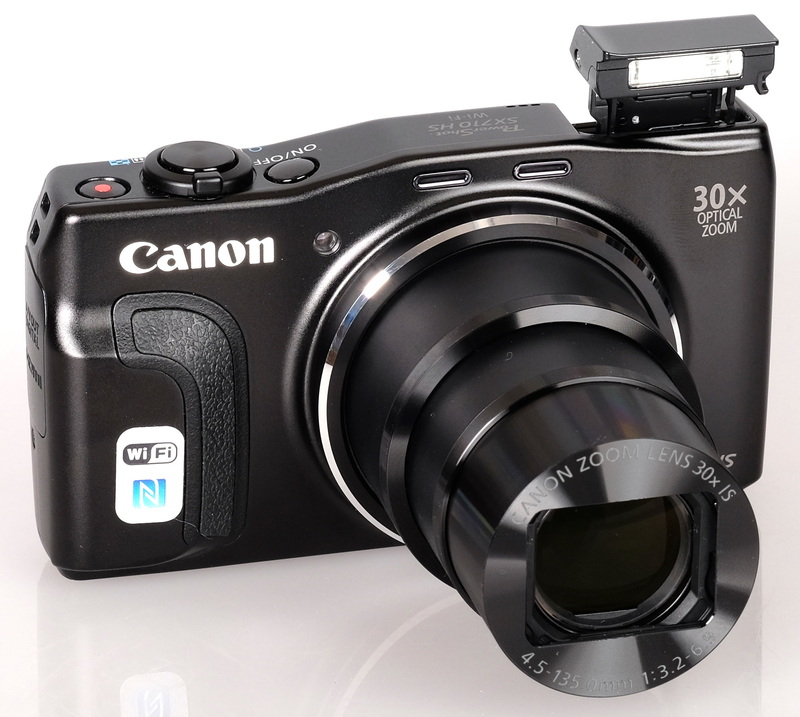 Video - The camera records 1080p HD video at 60fps with stereo sound, and optical zoom is available. Image stabilisation helps keep the shot steady while recording and overall the quality delivered is very good, with no jerkiness or blockiness. 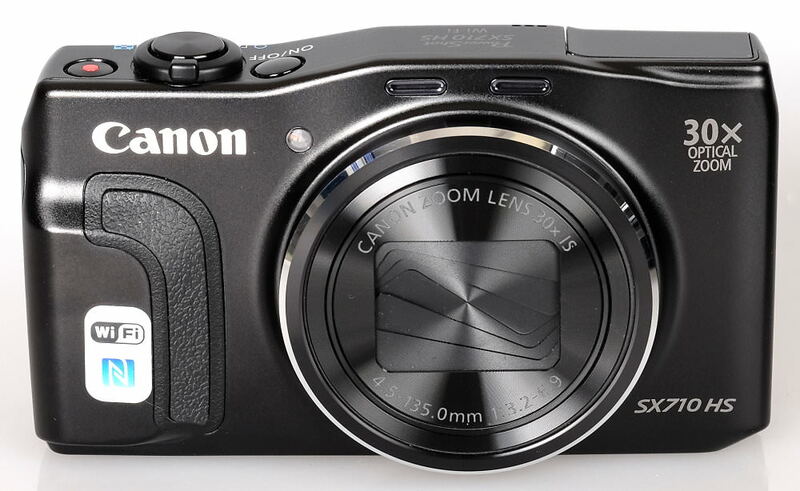 The Canon Powershot SX710 HS is available for £300 which makes it reasonable value for money, although the previous model the SX700, is currently £199 making the SX700 excellent value for money while still available. Canon has increased the number of megapixels in this model to 20 megapixels, perhaps to "beat" the 18 megapixel TZ60 and match the 20 megapixel HX60, whilst other companies have reduced from 18 to 12 megapixels (TZ70), as an increase in megapixels may look good on paper, but can reduce image quality, particularly with an increase in noise. You also end up with larger file sizes, which can result in slower operation. The camera also has reduced battery life compared to the previous model, and loses the high speed video modes, so overall there is little reason to choose this over the SX700, which is cheaper, has better battery life and high speed video. Perhaps in a shop a 20 megapixel camera looks better than a 16 megapixel camera, and whilst there is little additional noise from the 20 megapixel sensor, there is also very little compelling reason to buy this over a 16 megapixel camera, in fact we'd recommend you buy the SX700 while still available instead. However, saying all of this, the SX710 provides decent quality images and a range of features that will appeal to both advanced photographers and happy snappers alike. Image quality is good for a camera of this type, although corners can be a little soft at the wide-angle end of the zoom. The image stabilisation works well and video quality is very good also. Wireless connectivity features make sharing images on the go a pleasure and the remote control feature is ideal. 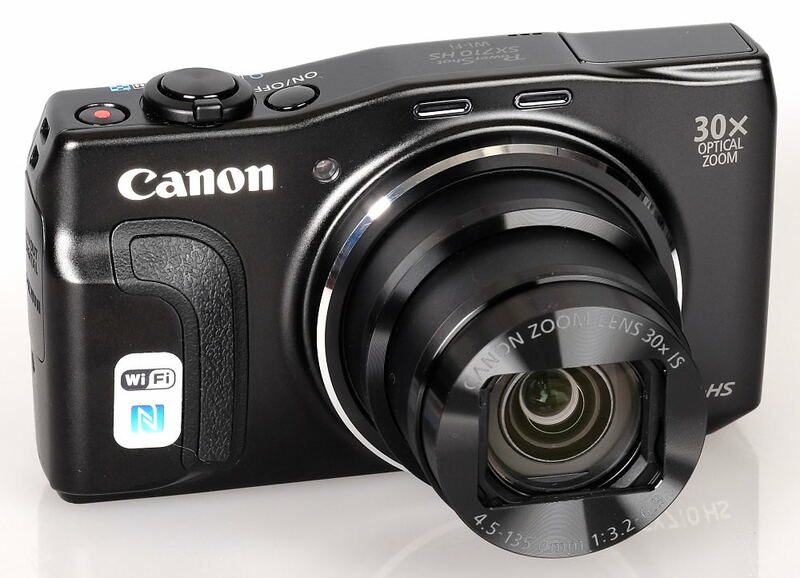 The Canon Powershot SX710 HS is a minor update to the SX700, but still offers an appealing range of features with good image quality and built-in Wi-Fi. Small sensor. For £300 that is well overpriced imo. Get a Compact if that is what your after with a APS-C sensor. For £300 that is well overpriced imo. Get a Compact if that is what your after with a APS-C sensor.